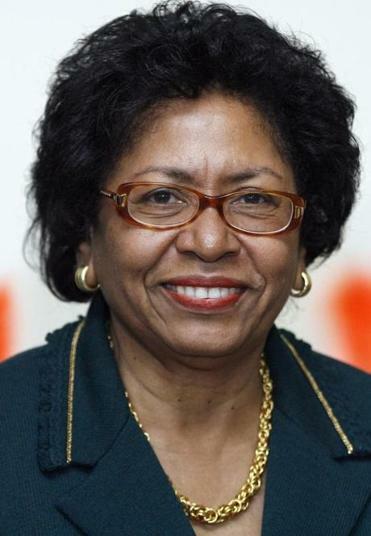 In a sharp departure from most elite schools, Brown University’s president, Ruth Simmons, recommended yesterday that her campus continue to deny the Reserve Officers’ Training Corps official status under a Vietnam War-era policy that eliminated faculty positions and academic credit for the program. Katherine Bergeron, Brown’s most prominent dean, said she expected the school’s board of trustees to ratify the decision by the end of its annual meeting Saturday. Many other universities have thawed toward ROTC in the past year, largely because of repeal of the “Don’t Ask, Don’t Tell’’ policy that banned gays and lesbians from serving openly. Last month, Harvard University established an office on campus for the naval branch of the program, formally recognizing it for the first time in 40 years, and Yale has made similar agreements with the Navy and the Air Force. At Brown, ROTC has been in the shadows since 1969, when the school revoked officers’ faculty positions and classified the program as extracurricular, preventing students from receiving credit for classes in military strategy and theory. A committee of professors, students, and deansreconsidered that position in the spring, but many argued that current military policies were still not in line with the university’s values. Three Brown students participate in an Army ROTC program at nearby Providence College. Simmons’s letter raised the possibility she might work with Department of Defense officials and others to establish a Naval or Air Force complement at that school. The letter also said another Rhode Island university had approached Brown about starting a naval program of its own. If that does not happen, Bergeron said, Brown students might still be able to participate in Naval ROTC programs at the Massachusetts Institute of Technology and the College of the Holy Cross, both of which are about an hour’s drive from Brown’s campus in Providence. Some alumni said that was too great a burden on students. “Even G.I. Jane wouldn’t want to do that commute,’’ said Jonathan Hillman, a Brown ’09 alumnus and chairman of an ROTC advocacy group. He added that he hoped the board would not follow Simmons’s recommendation.